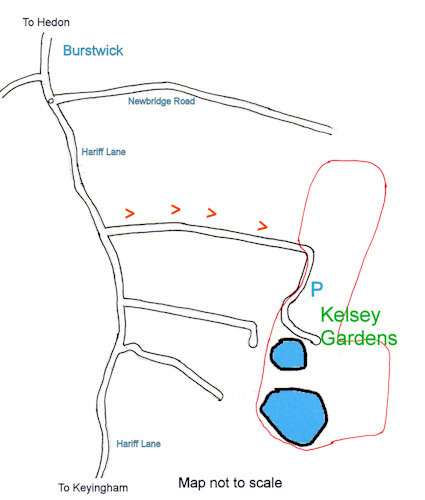 Take the road south from Burstwick (Hariff Lane), straight on at the mini roundabout and after about half a mile take the road on the left signposted Sangwins and Kelsey Gardens and continue to the end of the lane, through the gate and round the corner. Do not rely on satellite navigation systems in this area. The gates are open from 8.00 am until dusk or 8.00 pm whichever comes first.